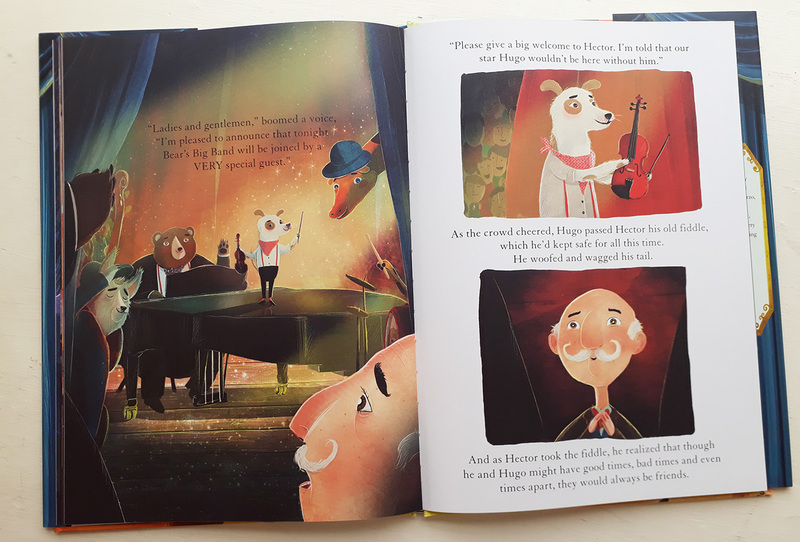 Following on from The Bear & The Piano, a new character appears in this companion story in the form of Hugo the Dog. He’s the close companion of Hector, a man of advancing years who has played his fiddle on the streets for a long time, but now sadly finds that his popularity as a performer has waned. Hanging up his fiddle he retires to a quiet life – generally just sleeping. 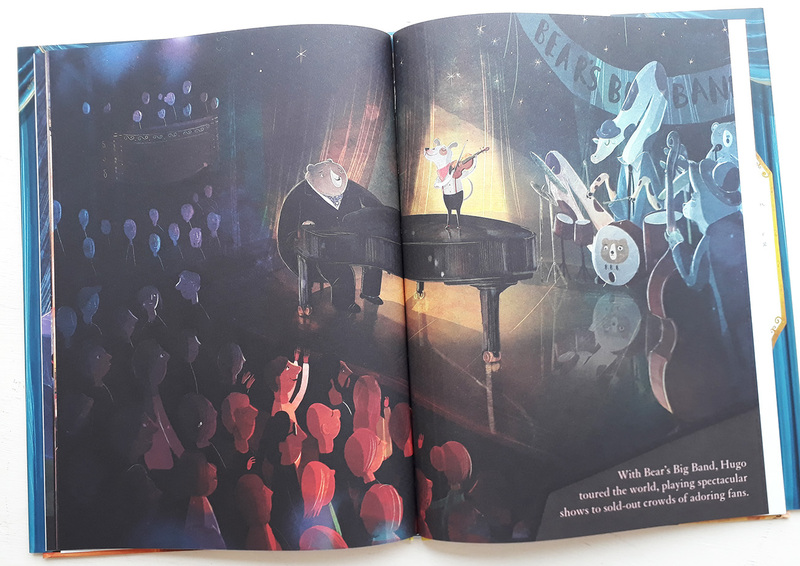 So Hugo is bored, and one day picks up the abandoned violin and starts practicing, initially with an excruciating shriek. Litchfield paces his story well, with the time passing from Hugo’s clearly unpleasant scrapings on the instrument to a genuine appreciation from the neighbours in the buildings around as he improves revealed particularly well in their facial reactions. Litchfield’s night time cityscapes glow, and with a limited amount of detail he effectively conveys the spaces and people within them. 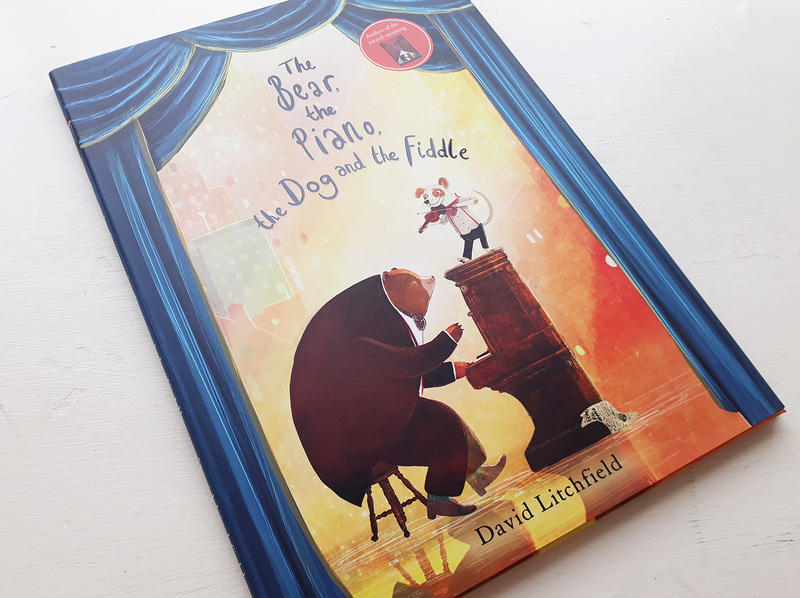 With Hugo’s talent now obvious, the piano playing Bear from the first book arrives and poaches him from Hector for his own animal touring big band, leaving the old man sad and jealous (which he is not proud of). 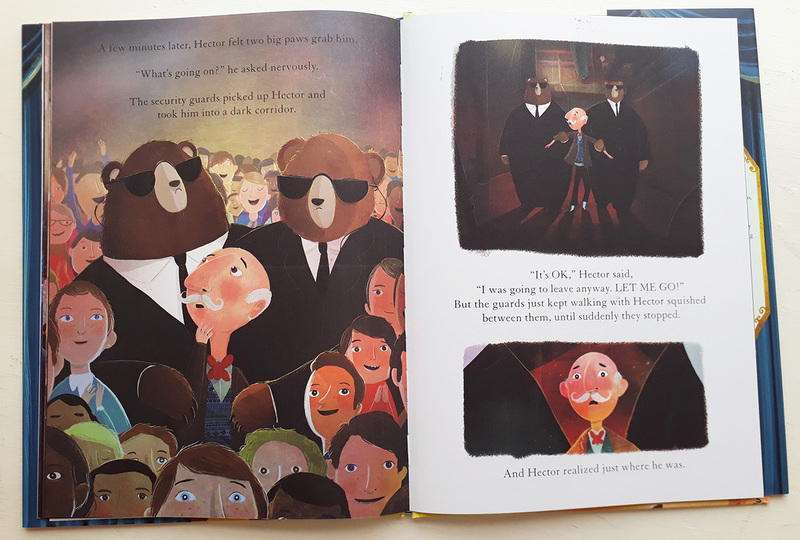 When the band return to town after a long time away Hector goes to see the concert, but he’s unsure how he will be received by Hugo after their fractious parting when unwise words were said. A light tension here is given a sweet dénouement when it becomes clear that Hugo has far from forgotten his old friend. 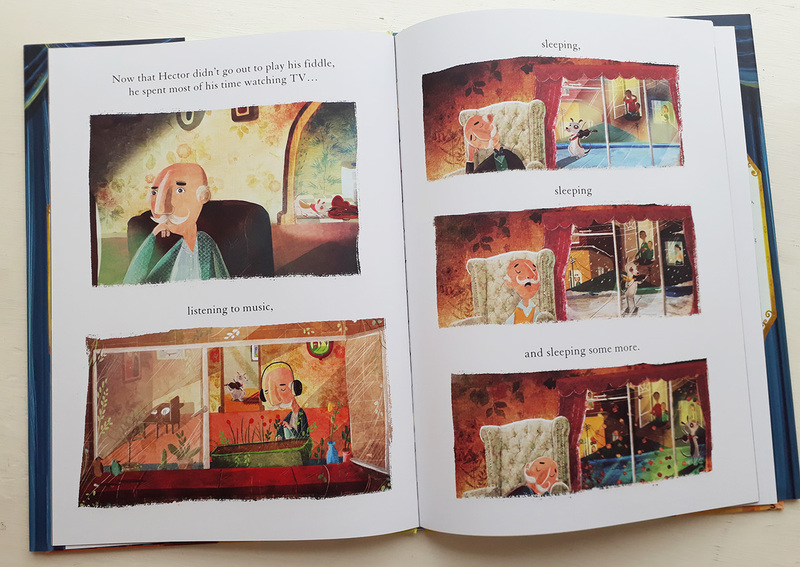 Litchfield avoids sentimentality in his characters by not depicting them too cutely, and his use of light and shade bring a vibrant contrast to the images in a warm story highlighting enduring friendship.